Guys just don't understand...washing our hair is quite a chore! Not only do we have to wash it, but we have to brush it, detangle it, dry it, straighten it, curl it, etc. EVERY SINGLE TIME. HAIR is a lot of work! Especially if you want it to look nice & clean on a daily basis. You can only wear a messy bun so much...before people start to wonder about your personal hygiene. LOL! 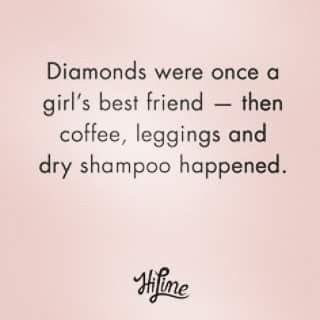 Had I known about DRY SHAMPOO, in my younger mom years...it would have absolutely been my best friend. NOT JOKING! I was lucky to wash my hair every two weeks. I know...it sounds gross, but the reality is that I just couldn't find the time to wash, dry, and straighten it. I was basically balancing four kids, their school/homework, all their extracurricular activities, and just simply trying to maintain my sanity. Washing my hair took second priority a lot...or maybe fifth or six priority. HA! 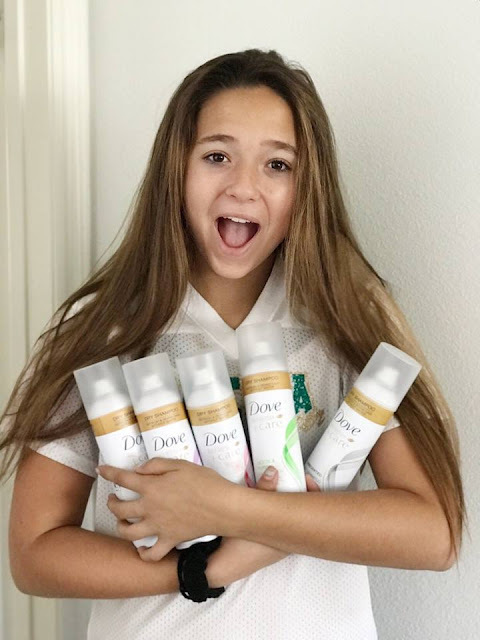 Now, as my kids are older, they are reaping the benefits of incredible creations like DRY SHAMPOO. 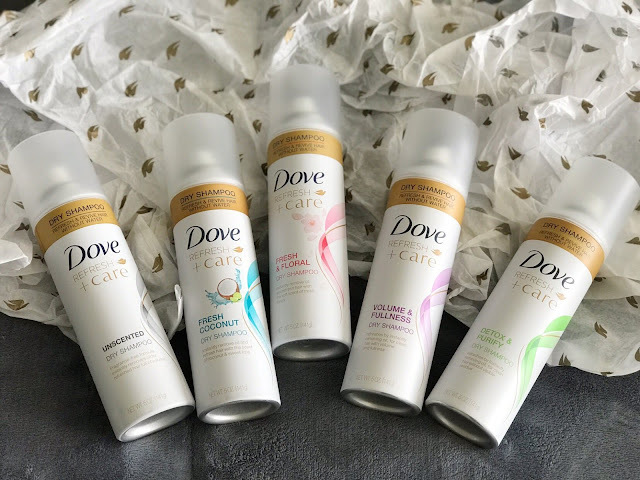 Dove sent us their "Refresh Care" DRY SHAMPOO line to try out. 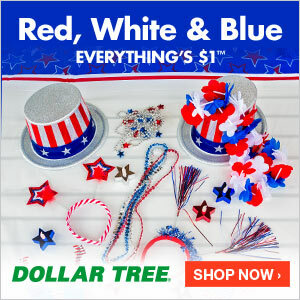 My oldest daughter LOVES THIS STUFF so much! 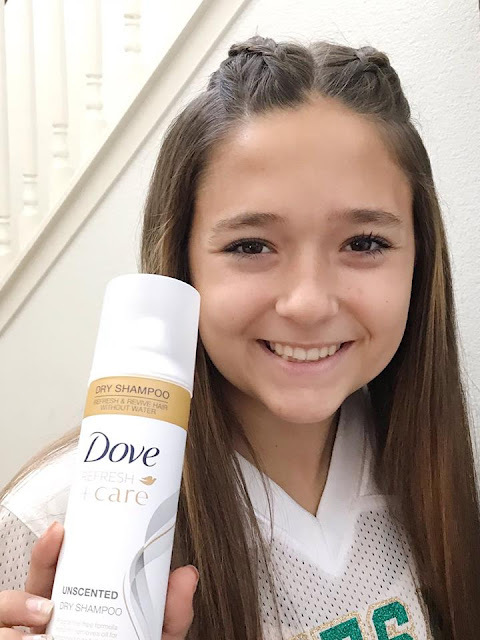 Since she's been cheering this year, she's learned just how important it is to have your hair clean and ready for the day ahead. 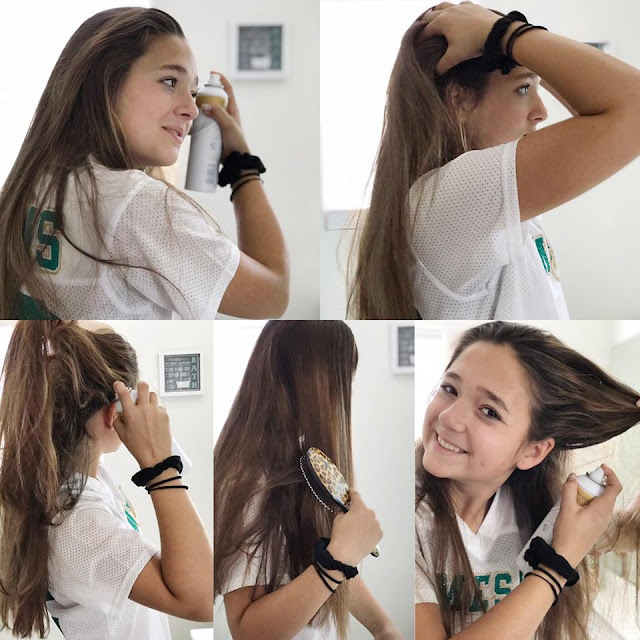 Most days, she's TOLD how to fix her hair...so making sure that it's always ready for whatever the coach's choice is for the day...can be a challenge. Especially since her hair is long, naturally MERMAID wavy, and tends to get greasy after a day or two without washing. Cue Dove Dry Shampoo products. You simply spray, rub it in, brush it through and style. It absorbs the oils that always happen when you've gone a bit without washing. INCREDIBLE! She is obsessed! With good reason! Not that she won't be, or shouldn't be washing her hair on the regular...but now, she can at least "FAKE IT" until she has the time to go through all the steps involved. 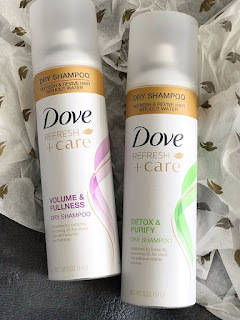 Dove has DRY SHAMPOO for all hair types too. 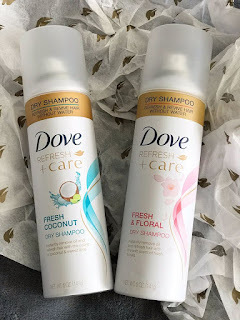 Whether you're wanting to add volume, or you want a dry shampoo that is scented and smells amazing...they have what you're looking for. Plus, it doesn't leave white powder or flakes like some dry shampoo's do. 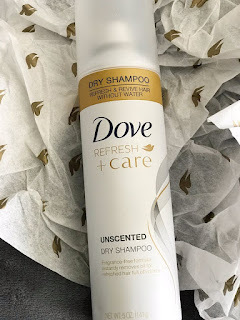 CLICK HERE to check out the Dove Dry Shampoo Line and maybe this will be your "go to" when you need to "fake it" until you have the time to clean that hair.